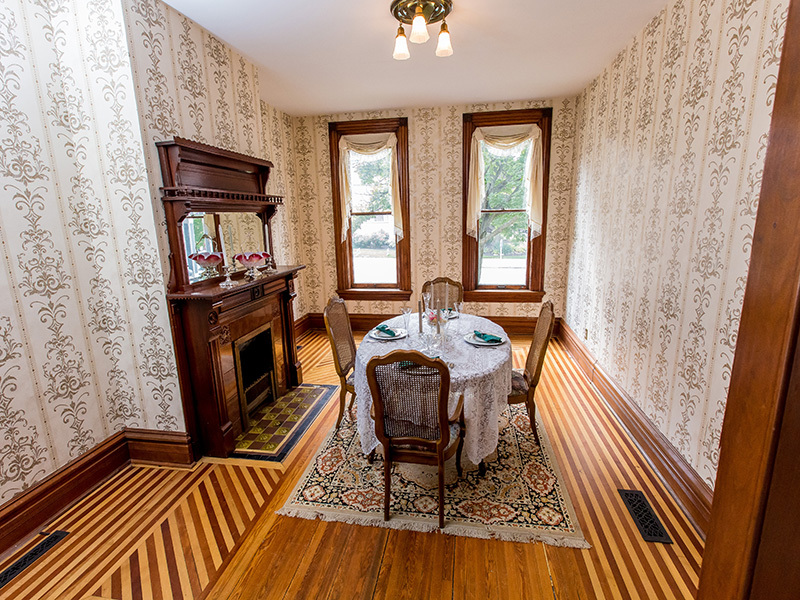 Victoria Inn is at the center of Erie, PA, within walking distance to UPMC Hamot, Gannon University, the Erie Playhouse, historic Warner Theatre, Erie Insurance, and the Erie Insurance Arena, and the Erie Art Museum. During the season, you can sail on a Tall Ship, take in a Sea Wolves game, or enjoy one of the many restaurants offering outdoor seating. In the winter, you can walk to an Otters game or take a short drive to Peak n’ Peek. 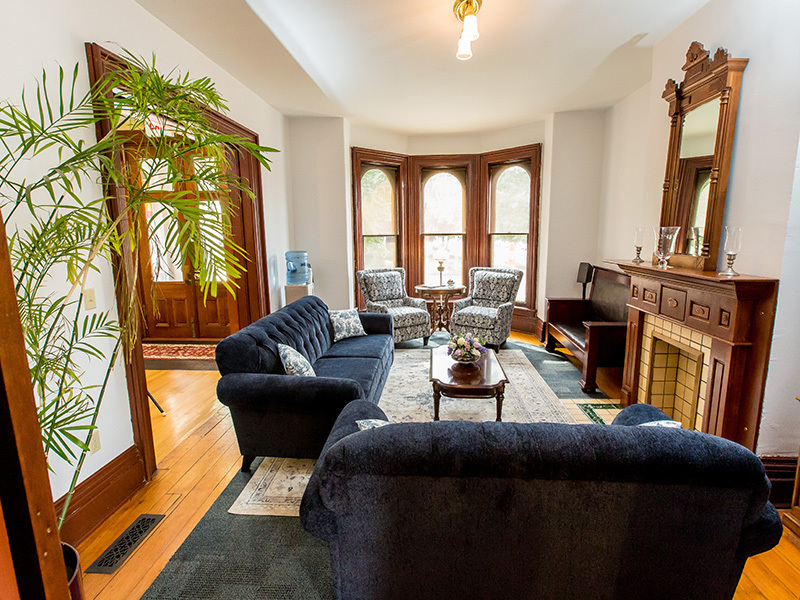 One step through the beautiful front doors and guests quickly realize why Victoria Inn is one of Erie’s landmark Victorian mansions. 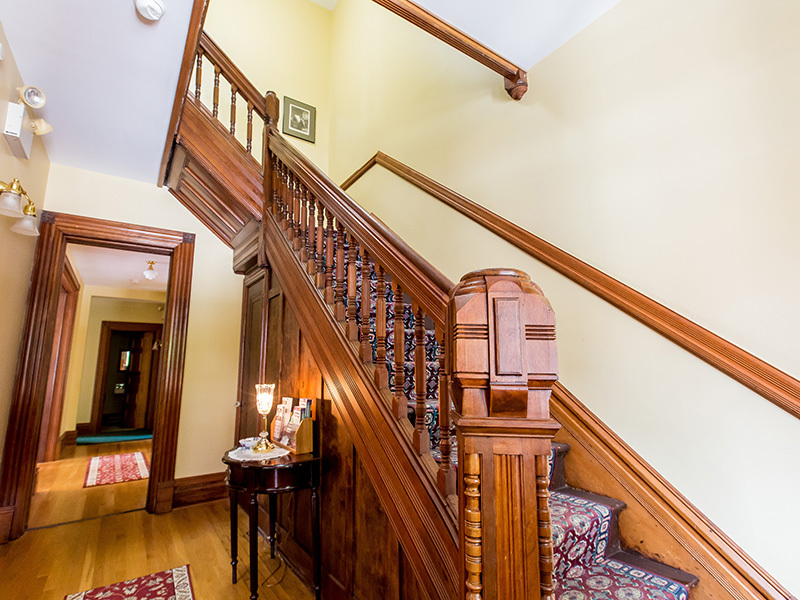 Examples of the era surround you from the 12-foot ceilings to the incredibly detailed, handcrafted hardwood mouldings, mantles and beautiful hardwood floors throughout the house. 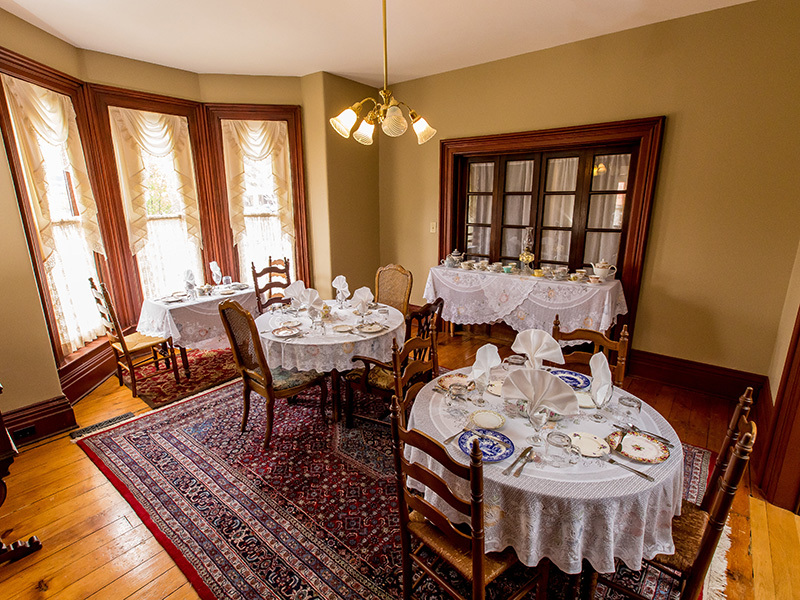 We invite our guests to a full home-cooked breakfast featuring such temptations as Brioche French Toast, Lemon-Ricotta Pancakes served with Blueberry Sauce, Sausage Croissant Casserole, or various Quiches. Each morning we feature fresh, homemade scones, muffins, coffee, tea and orange juice. Breakfast is served between 9 and 10 am. Cash, Visa, MasterCard, Discover are accepted. All fares are subject to a 6% Pennsylvania sales tax. 24/7 On-Site Management. Daily Housekeeping. Please review our policies.